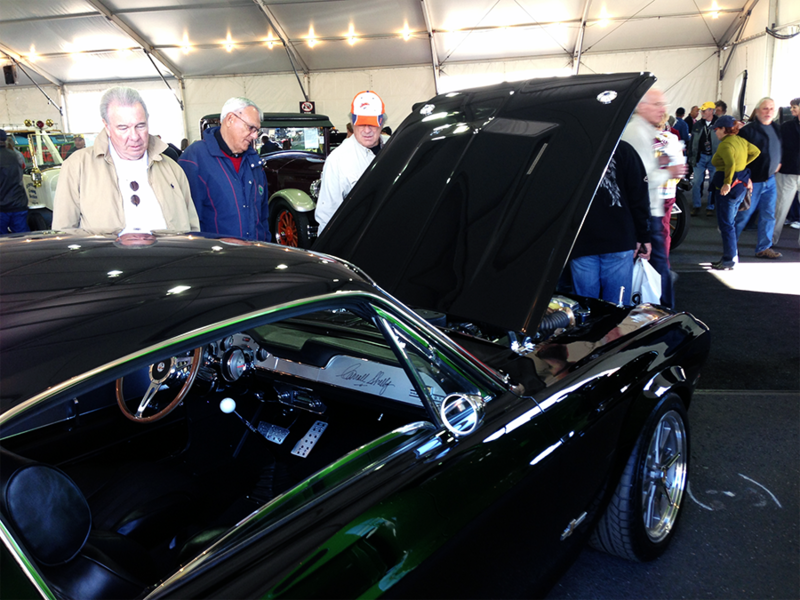 During this year's auction season here in Scottsdale Arizona, we had many unique automobiles presented to us from clients with various needs as far as detailing goes. One vehicle in particular this year that we consider one of our greatest achievements in our detail career was a 1968 Shelby GT500 Custom Fastback with a fully molded Eleanor body kit. 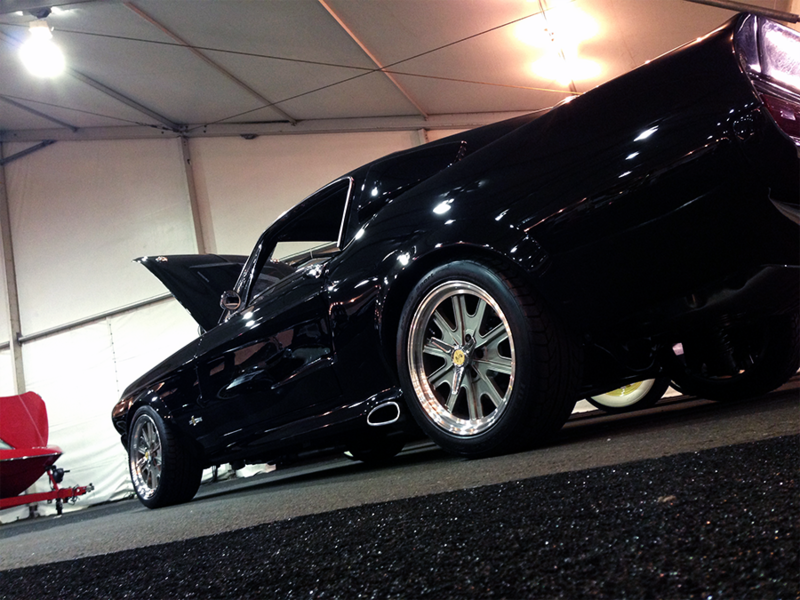 It was built to sell at Barrett Jackson Auto Auction right here in Scottsdale Arizona on Friday, January 18th 2013. This iconic car from the famous movie "Gone in 60 seconds" is one of the most sought after muscle cars in America. Although this one wasn't the typical dark metallic silver with black stripes, it carried its own persona and set the bar for one of the most tough-looking and powerful Eleanors ever built. First, when the car came back from the paint booth, and before he began to build the car and lower the 427 small block into the painted and clear-coated engine bay, we hopped in the engine compartment. From the strut towers to the firewall and every painted surface within the compartment, we three stage sanded it (including one wet) to remove any imperfections, clear runs, and orange peel. Next, we followed up by performing 4 stages of compounding/polishing, and cutting in corners by hand, we removed all sand marks and yielded an engine bay that looked blacker, wetter, and better than 90% of cars' exterior paint on the market. Strut tower after 3 stages of sanding. Strut tower after compounding out sanding marks. 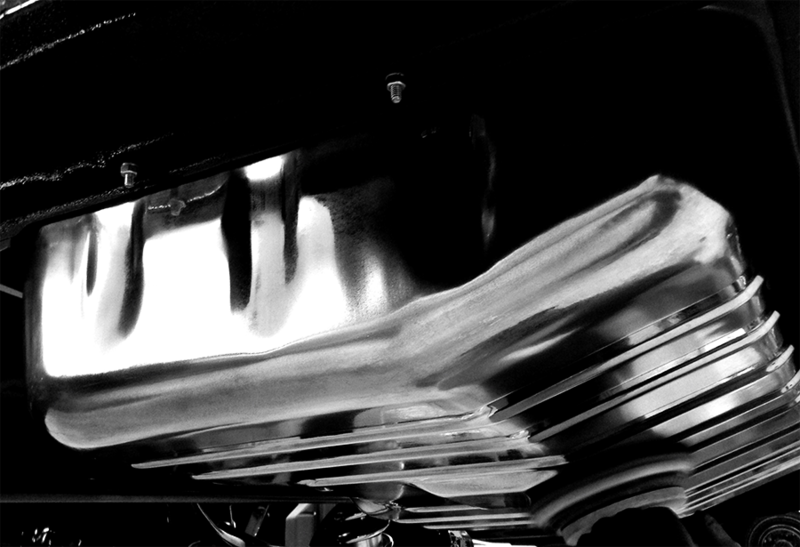 Engine bay sanding, compounded and polished before dropping engine in. Meanwhile, as we were doing our work, the builders at Memory Lane Auto Brokers assembled and attached the shocks, suspension, and 6-piston Wilwood brakes to Eleanor. Our goal during this project was to never get in the way of the builders, as we designed a plan of attack to sand what needed to be sanded, and perform the heavy compounding steps to remove the sanding marks before any delicate moldings or trim were applied to the car to minimize the risk of burning paint or damaging irreplaceable pieces. After hours of scrutinizing labor which included three steps of sanding and two heavy cutting and polishing wool steps to ensure quality control over the entire car, the body was ready for its first step of foam pad compounding. 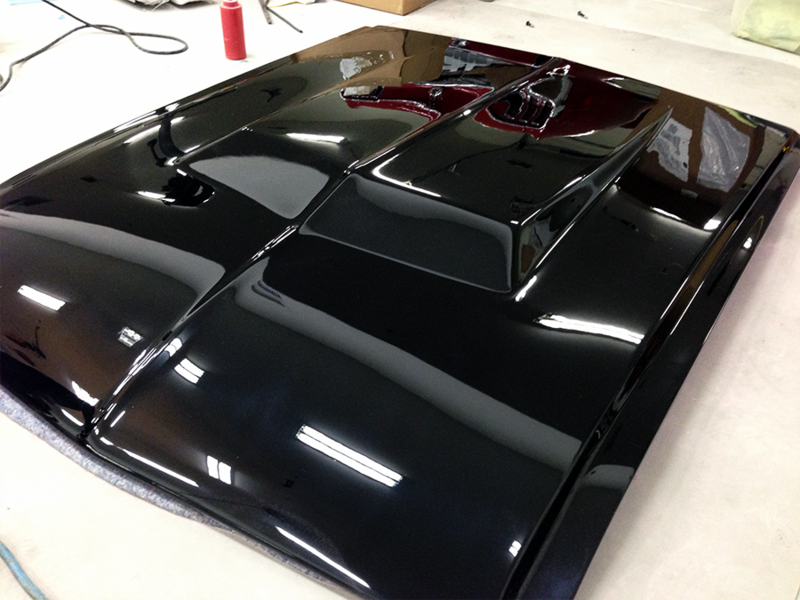 Below are photos from the time we received the car back from paint, up until its final stages before polishing. The condition in which we received the car back from the painter. Rear fender after the painter's prep work including a myriad of holograms, fish eyes, and orange peel. Orange peel texture like this covered practically every surface, nook and cranny of the car before we began our work. Rear fender after performing 3 stages of sanding (1 wet). Rear fender after 1st compounding stage to remove sanding marks. *Note* NO polishing at this point yet. How we received the hood sanded at 1000 grit. 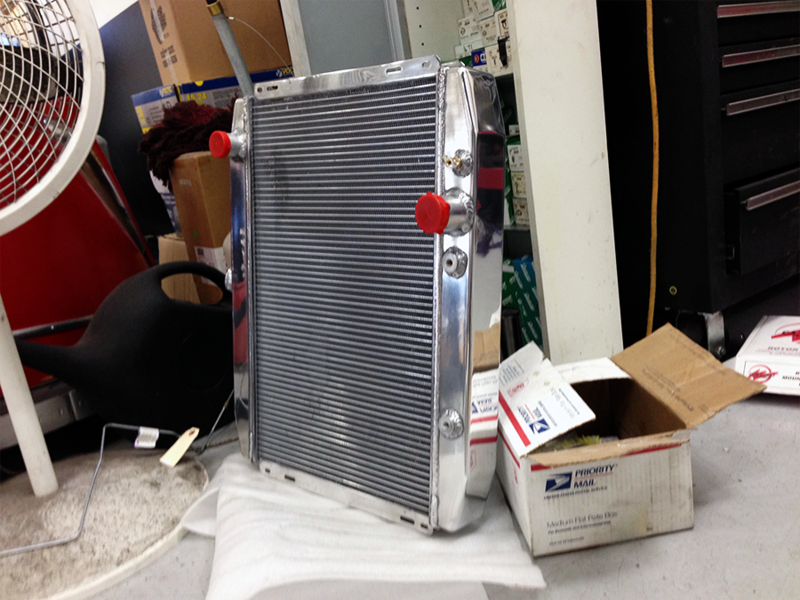 Eleanor was equipped with an aluminum radiator and gas tank which shipped from both manufacturers in a dull, hazy condition. We multi-step polished them, spending about 10 hours total just on these two pieces to give them a reflective, almost-chrome appearance. Before the doors, trunk and hood were bolted on, we sanded not only the exterior surfaces to remove orange peel, fish-eyes, and any imperfections from the paint booth, but also did the same to the underside of the hood, underside of the trunk the doors' jambs, trunk jambs, as well as the painted surfaces of the door panels. 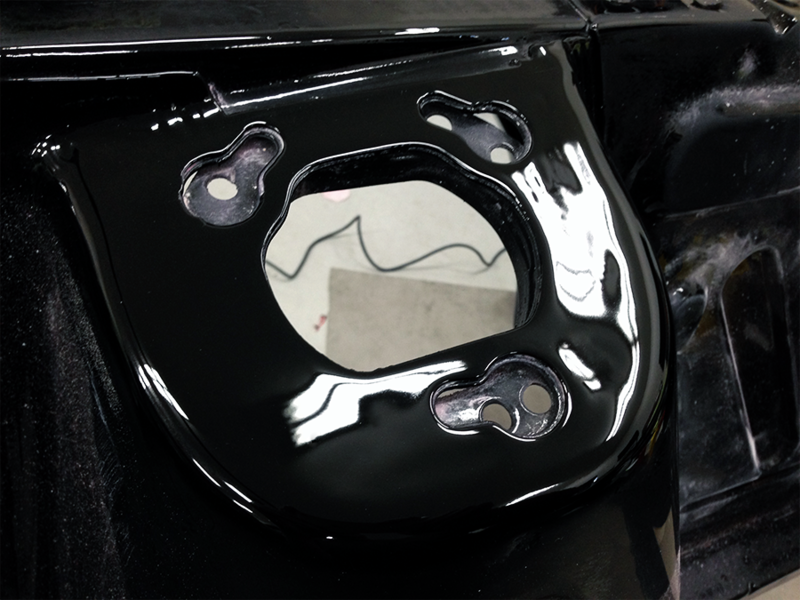 The painted visible surfaces of the dashboard were also sanded and polished out to a super high-gloss finish. Followed by the same steps as the exterior, Eleanor was just as perfect in areas most would never expect. After the interior was snapped and bolted in, the engine, drivetrain, suspension, wheels, windows, glass, and electric system were complete in their entirety, she was finally all ours. 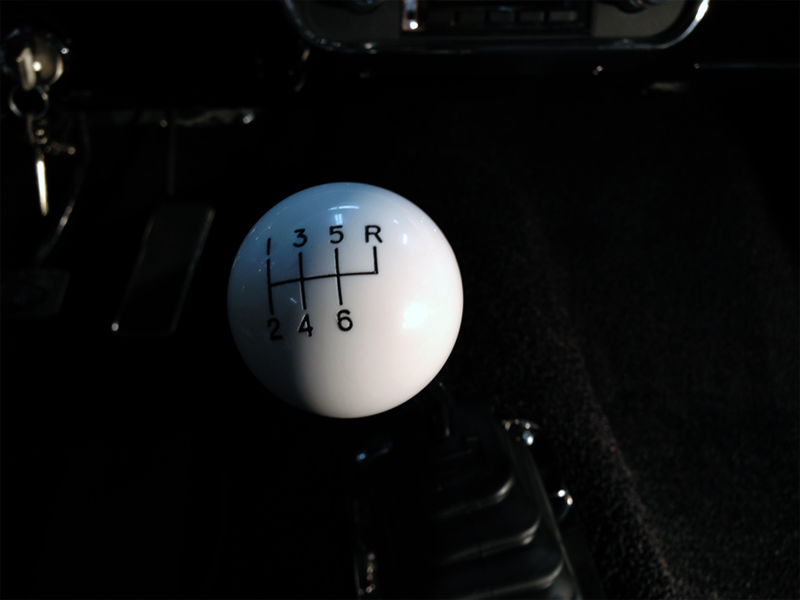 Shiftknob on the Hurst shifter connected to the 6-speed Tremec transmission. Giving the door panels a once-over to remove any scratches put in them during the install, we then began to compound the entire exterior of the car with the first foam pad, removing heavy holograms and fine abrasions put in by the wool pads prior. Refining the compounding to polishing and with each step becoming less and less abrasive, soon Eleanor was jeweled out to near perfection. During our final steps, a micro polishing step was applied that removed the slightest imperfections left in the clear-coat. Topped with a color enhancer and a durable paint sealant, she was complete at last. Final touches included blowing out all crevices and crannies with compressed air, wiping down the engine and engine bay of compound dust, vacuuming, wiping down, and conditioning the leather seats, as well as wiping down the windows. With over 120 hours into this fine piece of American machinery, and with the expertise of MLAB and their techs, Eleanor was ready for Barrett Jackson Auto Auction. We thank every single person involved in the creation of this amazing car and for making this project a possibility. This has been hands-down the biggest and most intricate detail we have ever performed and put all of our skills as Detailers to the test, and we passed! Stay tuned for more world-class detail projects right here on Detail Boss blog. We will be detailing for Barrett Jackson Auto Auction in West Palm, Florida, Orange County, CA and Las Vegas, NV this year as well. As always, happy detailing! Below is a video of the entire detailing process this work of art went through; from its days as a shell all the way up to the moment it sold on the block at Barrett Jackson Auto Auction here in Scottsdale Arizona. Enjoy!